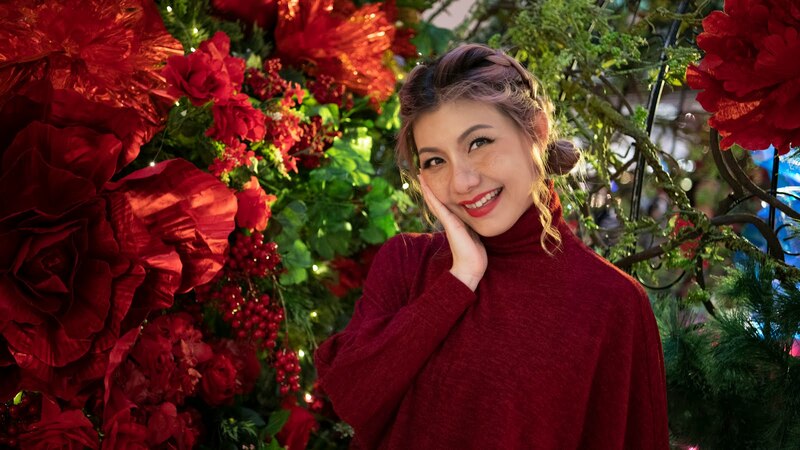 The relaunched of EVERSOFT introduces the most effective beauty enhancing Japanese ingredients to the range where super food ingredients and certified organic extracts are combined together, such as camellia flower, ginkgo & yuzu, apricot, avocado, mulberry, rice bran oil and Hyaluronic Acid. In addition to the ever popular cleansing foam, the enhanced range also introduces two types of new formats, the Cleansing Milk which is for sensitive skin and the Cleansing Gel which is for dry skin. 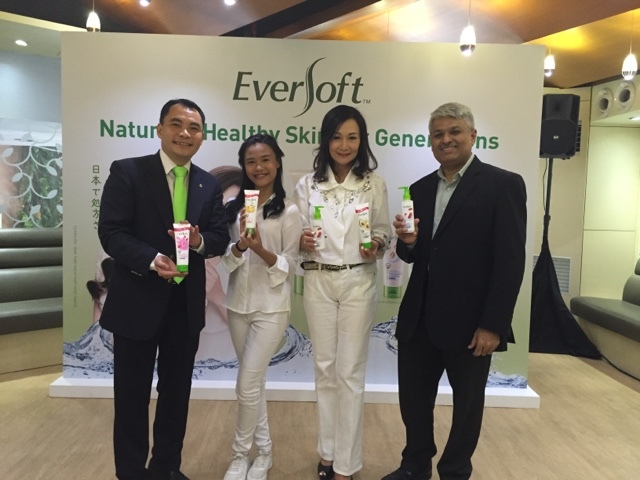 EVERSOFT facial cleansers are suitable for all skin types especially for young teenagers reaching puberty and beyond. 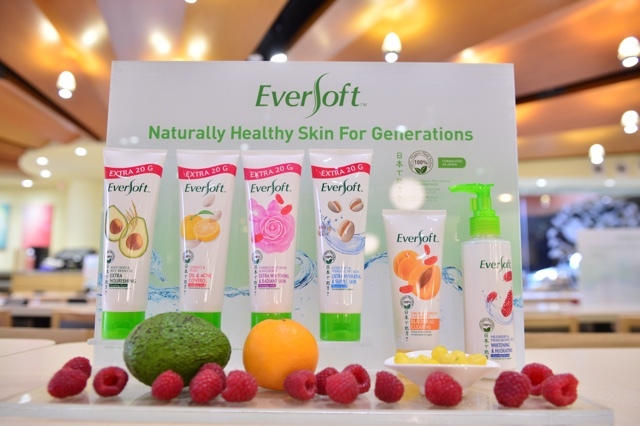 EVERSOFT introduces 5 newly improved facial cleansers and a new facial scrub for various different skin types. Nourishing & hydrating formula with 100% Organic Avocado extract & Rice Bran Oil enriched with Vitamin E to help fight signs of skin aging and protect the skin cells from free radicals oxidation. 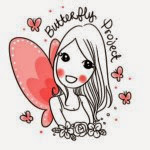 Nourishes and hydrates the skin to gives brighter and youthful looking skin. Oil & acne control formula with 100% Organic Ginkgo Biloba Leaf &Yuzu Fruit extracts that are high in anti-oxidants and Vitamin C to help clean and clear while removing blemishes and soothing skin redness. Suitable for those with oily and combination skin. Extra whitening formula with 100% Organic Camellia Flower & Mulberry extracts and enriched with Vitamin E that protect skin from harmful UVB rays. It improves skin tone, slow down dark spots while rejuvenates and revitalizes giving a radiant and glowing skin. Extra hydrating formula with 100% Organic Coix Seed extract & Hyaluronic Acid that act as a natural botanical moisturising agent to keeps the skin hydrated for a long lasting smooth, bright and soft skin. Suitable for those with dry and sensitive skin. Whitening & hydrating formula with 100% Organic Mulberry extract & Hyaluronic Acid that rich in moisture and nutrients to help rejuvenates, revitalizes and revive dull and tired skin. Cleansing serum works gently, making it ideal for sensitive skin. Blackhead clearing formula with 100% Organic Apricot & Mulberry extracts that are rich in natural skin rejuvenator that ideal for all skin types. Its micro beads dive deep into the skin to provide thorough scrubbing action that removes blackheads, stubborn impurities and excess oil to prevent future formation of blackheads/whiteheads.Ideal for all skin types. The new and improved EVERSOFT comes in an elegant white tube and each individual tube has its own vibrant colour to represent the different variants. 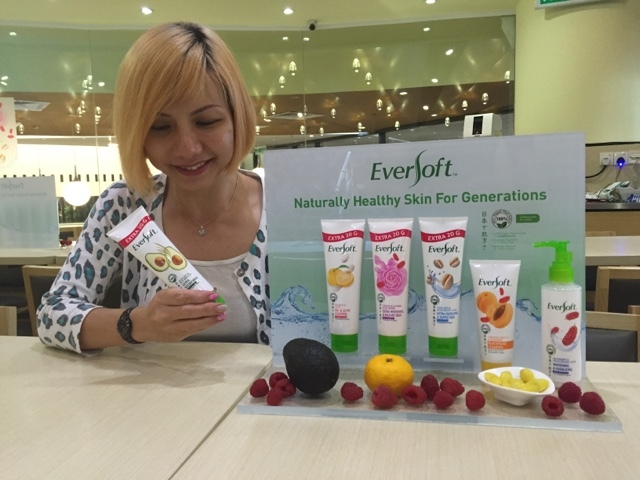 EVERSOFT facial cleansers are available at all leading supermarkets, hypermarkets and pharmacies nationwide retailing at RM 11.75 for 120G and RM 17.80 for 195G.